The DMX controller is able not to be needed, and to project an easy, effective logo. The installation construction is easy because it is compact and light though it is a stylish design. 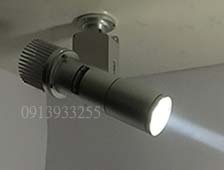 The illuminance of 3m 2200lux was compactly enabled by using the HID lamp. 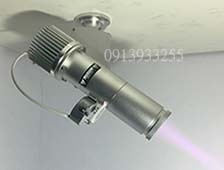 Our projector can project image on ceiling, floor and wall. Projector placed in 6m the image will be 2m in Dia. size: projector placed in 3m the image will be 1m in Dia. size.